Testosterone Enanthate is one of the most popular steroids because of its versatile and positive effects on muscle building. Testosterone enanthate (ena) is one of the most popular steroids available. Due to its versatile effects, including the particularly positive and radical effect on muscle growth, it is in very high demand and represented in the market. We clarify Ena, which is also marketed as a drug under the names Testosterone Depot, is the most widely prescribed by doctors worldwide testosterone preparation. 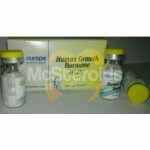 Testosterone enanthate is a testosterone molecule to which an enanthate ester has been attached.  Unesterified testosterone, also known as the testosterone suspension, has only a short half-life in the body after injection and must therefore be injected daily, or better even twice a day. For this reason, a way has been sought to deliver testosterone to patients suffering from a testosterone deficiency in a more comfortable manner than frequent injections. Since testosterone must be used as part of a testosterone therapy over a longer period or even permanently, presented an orally administered 17-alpha-alkylated testosterone version due to the heavy liver burden is not a good solution to this problem dar. Thus, only esterified testosterone remained. 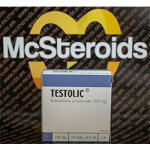 Esterified testosterone is stable in the body for much longer, which significantly prolongs injection intervals. This is because the body can not easily separate the ester from the testosterone molecule, so the release of unesterified testosterone molecules will only happen bit by bit. The longer the ester is, the longer this separation of ester and testosterone molecule takes. Only the ester separated testosterone molecule is active in the body, whereas esterified testosterone is an inactive depot from which testosterone is released gradually by separation of the ester. 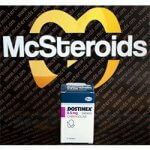 Another fact that must be taken into account in esterified testosterone is that the ester is included in the quantity. Thus, 250 mg of Ena corresponds to only about 180 mg of free testosterone. In this case, the longer the attached ester, the lower the proportion of testosterone. Ena have many very interesting properties for bodybuilders. Like all testosterone variants, testosterone enanthate shows a strong anabolic (muscle-building) effect, which is based on different mechanisms. Thus, testosterone promotes the incorporation of nitrogen (protein) into the muscles and additionally increases the activation of so-called satellite cells, from which new muscle cells can be formed. Furthermore, it is known that testosterone promotes the body’s own IGF-1 secretion both in the muscle tissue and by the liver. IGF-1 is a powerful anabolic body’s growth factor that promotes both muscle repair after heavy exercise and muscle building. In addition, testosterone reduces the release of catabolic glucocorticoid hormones such as cortisol, counteracting muscle catabolism that can occur after a hard workout or during a calorie-restricted diet. However, in addition to the desired effects, testosterone enanthate also has a number of undesirable side effects that increase in a dose-dependent manner. Since testosterone in the body is converted into estrogen by the aromatase enzyme, estrogen-related side effects such as water retention, increased blood pressure and gynecomastia must be expected. These estrogen-related side effects are more pronounced the higher the testosterone dose. Furthermore, testosterone in the body is converted by the reductase enzyme into the androgenic dihydrotestosterone (DHT), which is responsible for androgen-related side effects such as aggression, oily skin, acne and promoting hereditary hair loss. Since testosterone suppresses sperm production quite effectively during long-term use, testosterone was tested by some pharmaceutical companies as a possible contraceptive injection for men. As a bodybuilder, it’s best not to rely on the preventive effects of testosterone as there are plenty of reports from bodybuilders who conceived healthy children despite a long-term use of Testoviron Depot. In addition to sperm production, any exogenous (externally added) testosterone suppresses endogenous (endogenous) testosterone production quite quickly and effectively. For this reason, when discontinuing any testosterone preparation, appropriate measures must be taken to restart the body’s own testosterone production as quickly as possible. In practice, the observed dosage of testosterone enanthate is between 250 mg per week for steroid newbies and over 1000 mg for advanced bodybuilders or those who would like to. Although testosterone enanthate is effective in the body for between 12 and 15 days, most bodybuilders inject testosterone enanthate once weekly or even every 5 days to achieve a more even drug level. 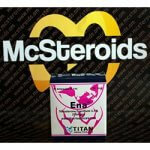 Studies have shown that the effect of testosterone enanthate increases with the dosage. Although this increase in efficacy is not linear in the upper dose range, it is true that more testosterone also means more effect. It should be remembered that in testosterone enanthate a higher dose will of course result in an increase in the side effects described. 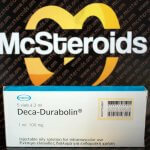 In practice, testosterone enanthate is combined with virtually every other anabolic androgenic steroid. Especially popular for mass building are combinations with Dianabol (Methandienone / Methandrostenolone), Anapolone (Oxymetholone) or Deca Durabolin (Nandrolone Decanoate). 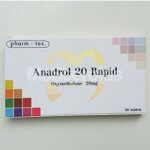 The combination with a non-aromatizing anabolic androgenic steroid with low to moderate androgenic effects helps to increase the muscle building effect of testosterone enanthate without achieving the same level of side effects as would be the case with a corresponding higher dose of testosterone enanthate.